Colin Farrell, Nico Parker and Finley Hobbins with Dumbo. I WILL admit that while growing up as a Disney-loving kid, Walt Disney’s 1941 animated film Dumbo was not one of my favourites. It would not have even been in my top 10. 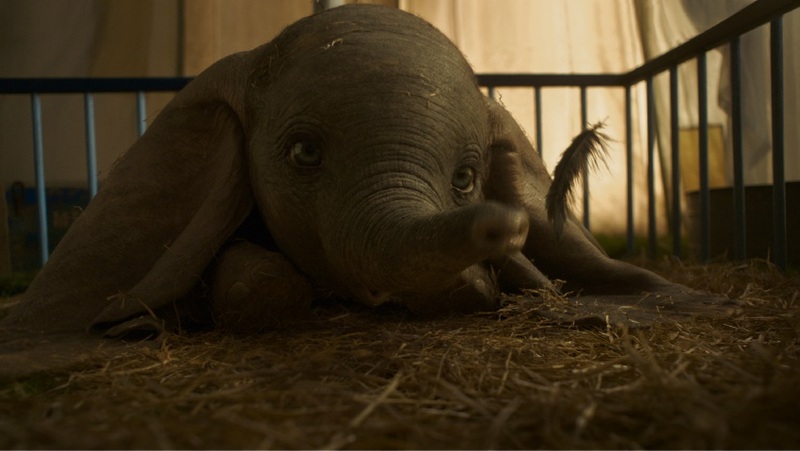 So when Tim Burton signed on to direct a new version of the film about a baby elephant with larger than average ears, I was not immediately overflowing with feelings of nostalgia. I even declined the tissue box that was passed around the cinema before the advanced media screening, which in hindsight may have been a mistake. The essence of the original classic is there, with the theme of celebrating difference, but Burton has turned this live-action adventure reimagining into so much more. Loss, importance of family and dream fulfilment is also at the forefront with the Dumbo story expanded into a two-hour emotional journey at the Medici Bros Circus in 1919. 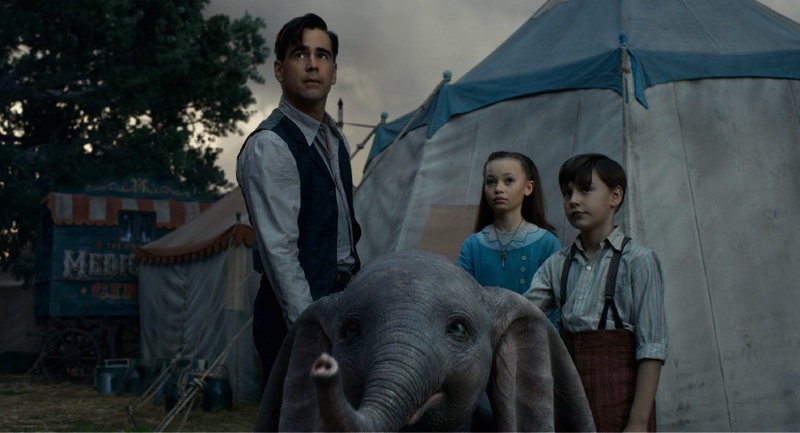 Owner Max Medici (Danny DeVito) it trying to keep his struggling circus together when former star and horse trainer Holt Farrier (Colin Farrell) returns from World War I to be with his children Milly (Nico Parker) and Joe (Finley Hobbins). Medici’s grand plan in buying Asian elephant Jumbo is thrown into chaos after she gives birth to Jumbo Jr, nicknamed Dumbo, whose oversized ears make him more clown than commodity. That is, until his unbelievable talent of being able to fly makes headline news and entrepreneur V.A. Vandevere (Michael Keaton) recruits Medici Bros. Circus and its popular pachyderm for his entertainment park, Dreamland, featuring aerial artist Colette Marchant (Eva Green). But Medici learns he has done a deal with the devil when the darkness of Dreamland is soon revealed in scenes that could scare younger viewers. Dumbo has strong casting, with actors ideally suited to their role. The emotion captured in the eyes of both elephants is a remarkable achievement by the visual effects team to create the everlasting bond between mother and baby. 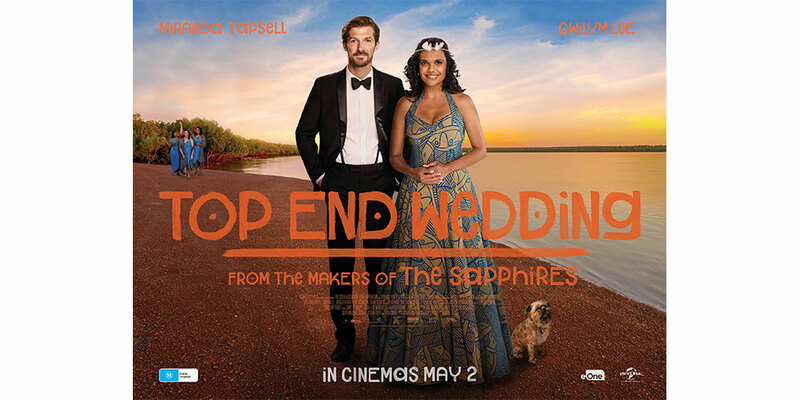 Cue song Baby Mine, which is honoured in this film that takes magical flight and soars straight into your heart.